What is LDMConf.exe? Should I remove it? 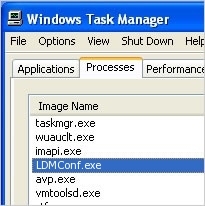 LDMConf.exe is an executable file, which belongs to the Logitech Desktop Messenger or LDM. It comes in a bundle with all Logitech Corporation products as a free service, which looks for software updates and other news, such as special Logitech's offers, promotions, program developments and similar information. LDMConf.exe starts its work every time as soon as computer is rebooted and connected to the Internet. It works in a background and has no visual window. This file is not a Windows core file, so you can remove it from the system without damaging it. Malware creators try to hide their malware. Sometimes they do that by using identical names to the ones that belong to legitimate files. 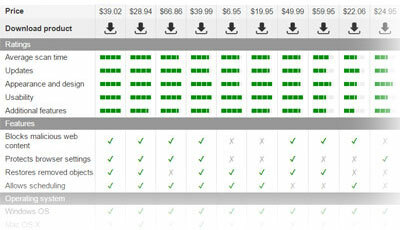 That's why you should be very careful with all non-Microsoft processes. In order to make sure that LDMConf.exe is legitimate, scan it with Reimage or other reputable anti-spyware. O LDMConf.exe é um ficheiro seguro? Definera LDMConf.exe filen. Behöver jag den? This entry was posted on 2014-01-30 at 02:01 and is filed under Application files, Files. You can quickly scan the QR code with your mobile device and have LDMConf.exe manual removal instructions right in your pocket.